A few years ago, I posted on the Family Bible of Benjamin Franklin Davis. He religiously recorded the dates of his children's births and a tad bit of other information. Oddly, some of the names of his children repeat themselves, as if younger children were perhaps named for older ones who had passed away. Also, in several cases, the dates on records, such as marriages, tombstones and census records, do not match up with the dates in his Bible, at all. 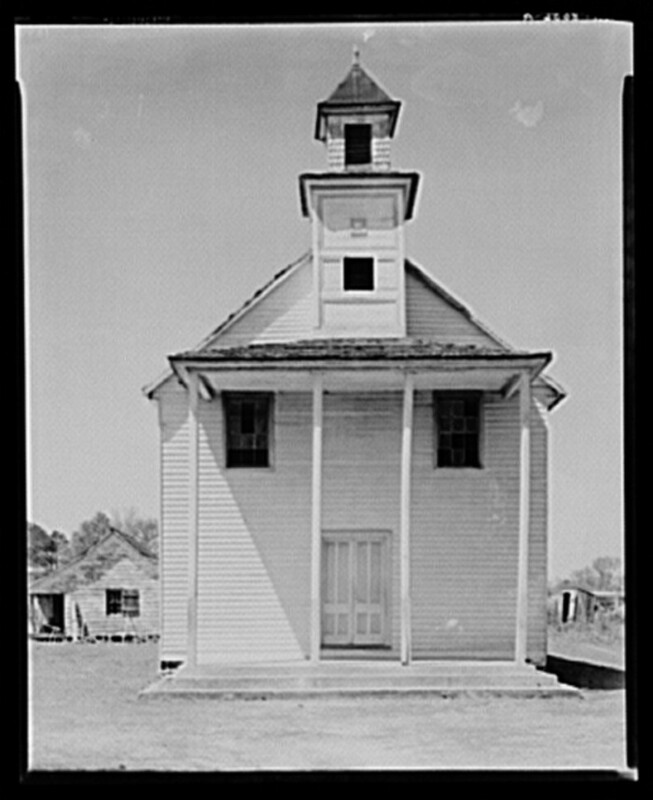 A few of his children stayed in Stanly County. Others would raise their families in Richmond County, where Frank and his wife, Julia Ann Sibley Davis, would move to for a while. Still a few others would relocate to northern South Carolina, or just travel widely. Others, I have not been able to trace with any true success. Of the most mysterious, are a few of his daughters. Some were obviously married more than once. The 1860 census shows the young couple only with 2 young sons, Holm and Mathew. 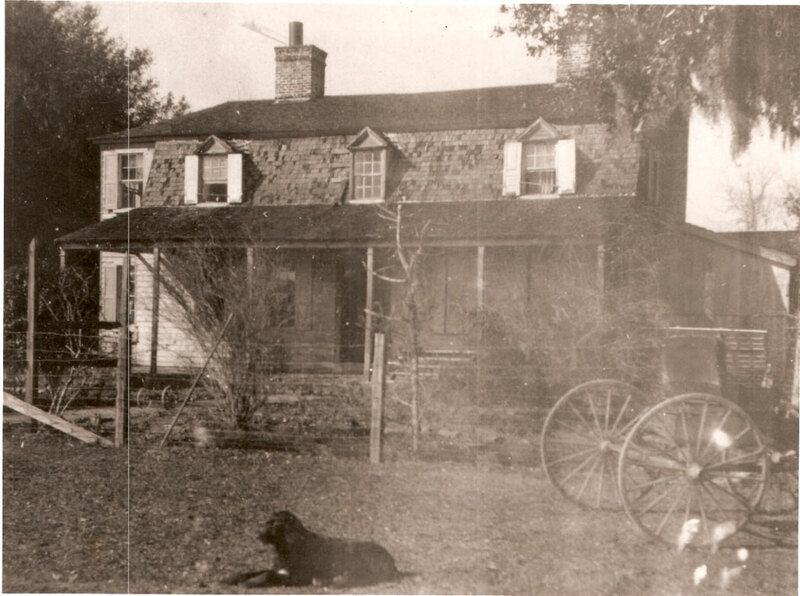 By 1870, the family is still living in Tyson, near the old Davis plantation of Frank's grandfather, Job Davis and on grounds that once belonged to his Great Grandfather, Peter Winfield. Their family had grown to include 6 children. Holm was the childhood nickname of Henry Edward Davis, seen sometimes as "H. E." while Hartwell Davis is seen as "H. A." Mathew is Mathew Addison, or "M. A. Davis". Lorena is sometimes seen as Lou or "L. A. Davis". Thomas is Thomas Franklin or "T. F." Davis and Elijah/Eliza is seen as "E. M. Davis". For the daughters, Mary Ann appears to have 3 initials, M. A. E. Davis McIntyre or MaryAnn Eliza. Nannie is "N. E." and Kitty is "W. C." for Wincy Catherine. Susan is "S.A." while Sarah or Sallie is "S. E. ". By 1880, the family had moved to Steeles in Richmond County. Hartwell is followed by John S., Mary, who marries a McIntyre, Catherine, who is Wincy Catherine, aka Kitty, who marries a Cox, Sallie, who appears to have married a Whitaker, and Susan, who marries a "Shank" or Schenck. Not in this census was Nancy Ann "Nannie" Davis McIntyre or Lillie Mae Davis McIntyre, both pictured above, whom I believe were born later. Land records and newspaper articles about the division of properties concerning this family, give a little bit of information that leads to more mystery. H. A. Davis was Hartwell Alexander Davis who never married. He died in 1902 and is buried with his father in the old Frank Davis cemetery off of Boone-Caudle Road in the southernmost reachs of Stanly County, below Cottonville. The larger portions in this division are siblings and the smaller portions ($7.20) were the heirs of Thomas Franklin Davis, who was murdered in 1906. E. M. Davis is Elijah. Susan, aka Susie, is still a Davis. W. C. is Kitty and has married E. W. Cox. Sarah aka Sallie has married a Whitaker. and Lorena is shown as L. A. Davis. Sallie and Lorena are two of the biggest mysteries amongst the Davis daughters. Lorena A. Davis, also known as "Lou", was born on February 19, 1862 in Stanly County, NC and passed away on November 25, 1936. She is buried at the Old White Pond Cemetery near Aiken, South Carolina. I was able to find her through her death records. She died at the age of 74 of TB, which was rampant at the time. Aiken might have been the location of a hospital, and not her actual residence, as an address of "P. O. Cottonville, NC", which would be the area she grew up in. The informant was a man named "Arthur Antonson" of White Pond, South Carolina and she was noted on her tombstone as the wife of "O. Antonson", which further research revealed was "Oscar Antonson", whom she married on July 24, 1928 in Boone County, Arkansas, both of them giving an address of Hasty, Newton County, Arkansas. In the 1930 census, Lorena should be going by the surname of Antonson, being she was married in 1928 and buried under that name in 1936, however, I have not been able to locate her in the 1930 census under any name. A search for "Oscar Antonson's" in that year turns up six. 1) Born in Iowa in 1893, in an institution for the Insane. I believe this one would be far too young to have married Lou. 2) A machine operator in a Glass Plant born in 1885 in Pennsylvania and married with four children to a Jenny. Not this one either. Oldest child was 20. 3) A 38 year old roomer from Norway, boarding in Astoria, Oregon and working as a "dredge" along with a 34 year old Arthur Antonson, probably brothers. 4) The 16 year old son of John and Hilma living in Minneapolis, Minnesota. 5) Oscar with a wife Hilda and 4 older children working as a railroad car repairer in Blue Earth, Minnesota. 6) A 41 year old dredgehand from Norway living in Portland, Oregon. Of all of those, I would place my bets on her having married one of the guys in Oregon. Or a different one entirely. There were no Antonsons in either Arkansas or South Carolina. With the "Cottonville" mention, I even looked to see if she was back among her sisters, the McIntyre's, who remained in Stanly County, but she was not. What is known, is that at the time of Hartwell's passing, Sallie was alive and had married a Whitaker and Lorena was going by Davis. By 1912, Lorena was going by "L. A. Whitaker" and labeled a widow. And she was "L. A. Whitaker" when she married Oscar Antonson in 1928 in Arkansas, where her brother, E. M. Davis lived. And of course, like a lot of women in those days, who married younger men, she fibbed about her age. It is not known what ties Lorena may have had to White Pond. No other interments in the cemetery seem to have any ties to her. Her informant, Arthur Antonson, whether brother-in-law, or son-in-law or whatever relation he may have been, is not to be found in South Carolina, either. So a great deal of questions remain surrounding Lorena. H. E. is Holm, Lilly has married a McIntyre, Lorena is now a Whitaker and Sallie is not mentioned and who is Mabel Davis? The lands of sister Nannie Davis McIntyre is mentioned, along with brother Mathew (incorrectly spelled "Nath"). So, in 1922, another mystery is added to the mix....who is Mable Davis? She is an heir of W. C. Cox. Possibilites are that she was the only child of E. M. Davis, who is not mentioned and likely deceased by then, who has a right to her father's share. Another possibility is that she was a daughter of Kitty herself, born before her marriage to Mr. Cox. Kitty can not be located in 1900. In the 1910 census, which also listed number of children born, she is in Broughton, and no children are listed, however, that question is not answered for any of the women listed. I find it hard to believe, in that day and time, that none of the "inmates" as they were called were not mothers, so I believe, in their case, that question was just not answered. There were a number of Mable Davis's living in the 1920's and 1930's, but with no specific location, or link to a parent, or approximate age, I've not been able to determine who exactly Mable was. Lorene is still a Whitaker, Lillie McIntyre, M. A. Davis and J. S. Davis and the heirs of T. F. Davis are clearly the children of B. F. and Julia. This Mabel Davis is mentioned again, but who is Sadie Dunlap that Lillie is an Admin. of? It soon gets a little more twisted. Susan Davis apparently has married a Mr. Shank, but who is Mr. Shank and where did she move to? I can not seem to find her. (After writing this, I found out that Mr. Shank was instead Martin Luther Schenck of Rowan County. He and Susan were married in Rowan County on January 9, 1916. I know it was Susan due to her name, "Susie E. Davis" and her residence, "Norwood, North Carolina." There was a deep, mysterious problem that seemed to affect most of the daughters of Frank and Julia. An earlier article may have a clue about what happened to Sarah Davis Whitaker. In 1903, she escaped from the Insane Asylulm in Morganton. I found Sallie in 1910, still in Morganton, but she was not the only one I found there. The "Susie David" age 32, underneath 35 year old Sallie Whitaker, was actually Susie Davis, looking at the actual document. I already knew from several years ago that Kitty Davis Cox aka Wincy Catherine Cox, had lived for most of her adult life at Broughton, and had died there in 1922. Discovering that her sisters Sallie and Susie were also there was a bit of a shock. I turned to the microfilmed lunancy records available in the history room of our local library. I was searching for any information on Sallie or Susie, when they were admitted and maybe, just maybe, a hint why. It was clear that Susan had been released before her 1916 marriage to Martin L. Schenck, but what of Sallie? There is no more information about her after 1910. I did not find any information on either of them in the Lunancy records, however, what I did find was even more of a shock. Mary Davis McIntyre, another of the sisters, was admitted under a charge of lunacy, to the same hospital on September 1, 1913. But she was back at home with her husband and children by 1920. To make matters even more confusing, in the lunacy records was a release form for Nannie McIntyre, a fifth Davis sister, whose status was given as "improved" by June 7, 1928. Mary and Nannie both remained home, Mary passing away in 1938 and Nannie living until 1955. That means, that of the 7 daughters of Frank and Julia Davis, five of them spent at least some time at Broughton Hospital in Morganton. Only the oldest, Lorena, and the youngest, Lilly, have no records of being there, although that does not mean they were not. What was the mysterious mental illness that plagued the Davis daughters? This post ends with a lot of loose ends and unanswered questions, more than it solves any mysteries. When and where did Susie and Sallie pass away? What Whitakers did Sallie and Lorena marry? Were they perhaps the same one? Where are those 3 sisters in the missing censuses? Who were Annie Campbell, Mable Davis and Sadie Dunlap? Why did five Davis daughters end up committed to an Insane Asylum? I do have a theory to perhaps the Whitaker dilemna. In Burnsville, Anson County, not far from the Davis lands, where two of Frank's brothers settled, a William Whitaker is found with a wife Sallie in the 1900 census. He is working as a farm laborer and the couple have been married 6 years and are childless. It reveals she has given birth to 0 children and 0 living. In 1903, Sallie is in the paper as having escaped from Broughton and having been recaptured. In 1910, she is an inmate there, and then, nothing else about her. In 1909, during the division of lands, Lorena is now a Whitaker, and by 1912, when she sells her inheritance, she is called a widow. I believe William and Sallie are Sallie Davis Whitaker and that he may have divorced her while she was in Morganton. He then married her sister, Lorena. William dies before Lorena sells her property in 1912. The Burnsville William is the right age to be William A. Whitaker, son of Benjamin Franklin and Beneter Randle Whitaker, neighbors of the Davis family in the Tyson community in earlier days. He also falls off the planet, but I have no proof of this. To uncover more about the Davis daughters, I may have to give a closer look to the Whitaker family. First off, I enjoy reading your articles. I too am curious as who the Whitaker (s) are that married the Davis girls. I am a Whitaker, my dad is from Cabarrus, NC., and I have not been able to get pass my 2nd great grandmother or confirm whom my 2nd great grandfather was. According to DNA I am related to the Whitley's and Hathcock's. I'm also related to Murray and Davis decedents. How? I do not know. Any way, I look forward to your articles and whatever you might find on the Whitaker - Davis line.